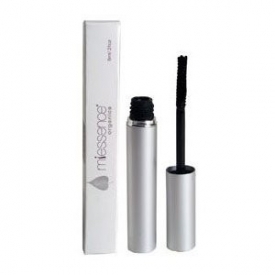 Combining the nourishing properties of jojoba oil and shea butter, the thickening and strengthening properties of beeswax and the intensity of colour of long lasting natural mineral pigments, Miessence organic mascara builds thick, supple healthy lashes. For ultra-thick, striking lashes, apply several layers allowing time to dry between applications. Organic aloe vera (aloe barbadensis) leaf juice, organic sugarcane ethanol, black iron oxide, unrefined beeswax, bentonite clay (magnesium aluminium silicate), organic jojoba (simmondsia chinensis) seed oil, nongmo xanthan gum, organic rose (rosa damascena) essential oil. 87% Organic Product.